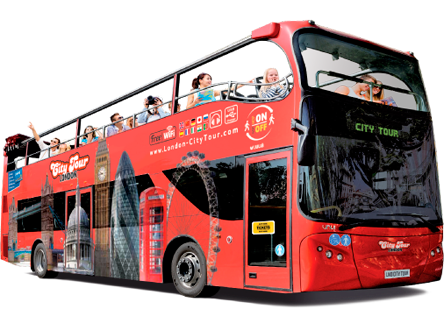 London City Tour has a fleet of 24 double-decker buses, all of them red and inspired by the typical London tourist buses. The front of each bus has a digital panel which indicates which route it will be following. 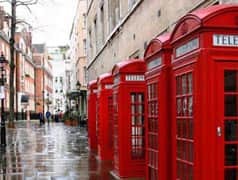 Most of the London City Tour buses have a completely or partially open top deck, meaning that you can enjoy a splendid panoramic view of the city while up top, whereas the lower floor is completely air-conditioned. 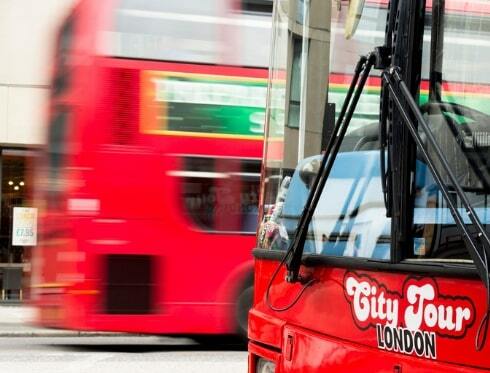 All of the London City Tour buses are equipped with ergonomic seats guaranteeing you a comfortable journey with us. On top of that, we even offer free Wi-Fi and USB chargers. We ask that our passengers get on the tourist bus via the front door and leave via the rear door. All our vehicles have a staircase between the lower and upper floor, which we also request our passengers only use when the bus is stationary at one of the stops. All London City Tour buses are adapted for persons with reduced mobility. 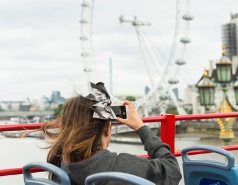 Our London tourist buses have access ramps and spaces for wheelchairs inside the vehicle. Each bus has the capacity to carry a maximum of one wheelchair. Our pre-recorded audio guide system, available in 10 languages, will provide you with information on the points of interests along our routes and at their stops. Just plug in the headphones and choose your language!